"Fast" franchise: Wednesday's 15th anniversary re-release of "The Fast and the Furious" is a great reminder that not all Hollywood franchises originate as comic books, young adult novels or video games. Sometimes, lightning just strikes on its own – with a little help from great marketing -- and the resulting boxoffice flames burn brightly for years to come. That's exactly what happened with Universal Pictures and Original Film's "Fast," which opened June 22, 2001 to $40.1 million and went on to do $144.5 million domestically. Its surprise success sparked a franchise whose seven episodes to date have grossed $1.3 billion in domestic theatres. Directed by Rob Cohen ("The Mummy: Tomb of the Dragon Emperor"), the PG-13 rated action crime thriller stars Vin Diesel, the late Paul Walker and Michelle Rodriguez. Its June 22 reissue at about 1,500 theatres should play best to adult male action fans. It should also attract younger men who know it from cable, DVD or digital streaming, but were too young to see it in theatres in 2001. 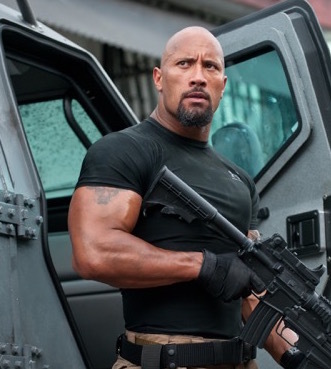 An eighth episode, "Fast 8," is scheduled to open Apr. 14, 2017. Directed by F. Gary Gray ("Straight Outta Compton"), it stars: Dwayne Johnson, Charlize Theron, Scott Eastwood, Kristofer Hivju, Jason Statham, Kurt Russell, Eva Mendes, Jordana Brewster, Michelle Rodriguez and Helen Mirren. Although "Fast" was an original, its title had already been seen on movie screens way back in 1955 on a low budget crime drama. That film was co-directed by John Ireland, who also starred opposite Dorothy Malone and Bruce Carlisle, and Edward Sampson, who also edited the picture. The 1955 film's producer was the then 28-year-old and now legendary indie filmmaker Roger Corman. At that point, Corman had produced only one other movie – the 1954 sci-fi horror thriller "Monster From the Ocean Floor." Corman also appeared in the film in a small uncredited role and did some second-unit directing. That was his first experience directing and it put him on track to becoming an indie brand name in the 1950s and '60s. Corman springboarded off "Fast" into a multi-picture deal with the fledgling indie distributor American Releasing Corp., which soon evolved into the very successful American International Pictures. Among Corman's many films for AIP are: "Machine Gun Kelly" (1958), starring a young Charles Bronson; "The Little Shop of Horrors" (1960), with the then unknown Jack Nicholson in a small role; and "The Pit and the Pendulum" (1961), starring Vincent Price in the first to be released of many Corman productions based on classic horror tales by Edgar Allan Poe. 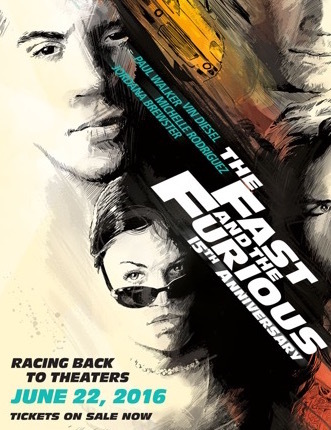 When director Rob Cohen was developing his 2001 movie, which is not a remake of Corman's production, he decided he wanted to use Corman's title "The Fast and the Furious." Cohen acquired title rights from Corman, but did not buy story rights since he didn't need them. Cohen's "Fast" wasn't a pre-sold title when it opened, but it did feature some promising talent in front of and behind the camera that would go on to do many high profile films. Cohen's most recent movie before "Fast" was the 2000 action crime drama "The Skulls," starring Joshua Jackson, Paul Walker and Hill Harper. He went on to direct the fantasy action adventure "The Mummy: Tomb of the Dragon Emperor," starring Brendan Fraser, Jet Li and Maria Bello, which opened Aug. 1, 2008 to $40.5 million and did $102.5 million domestically. Producer Neil H. Moritz had produced the low budget 1997 horror thriller "I Know What You Did Last Summer," starring Jennifer Love Hewitt, Sarah Michelle Gellar and Anne Heche, which grossed $72.6 million domestically and spawned its own franchise. Moritz also produced the 1999 romantic drama "Cruel Intentions," starring Sarah Michelle Gellar, Ryan Phillippe and Reese Witherspoon, which reportedly cost $10.5 million and did $38.3 million domestically. It also turned into a franchise, which includes a television movie pilot Moritz is now executive producing for an NBC series that picks up the story 15 years after the original movie. Directed by Roger Kumble, who directed "Cruel," it again stars Gellar as the evil Kathryn Merteuil. Vin Diesel attracted attention after Steven Spielberg cast him in "Saving Private Ryan" (1998), which won five Oscars in 1999, including best directing. Soon afterwards, Diesel starred in David Twohy's 2000 sci-fi horror thriller "Pitch Black." Michelle Rodriguez's credits already included Karen Kusama's "Girlfight," for which she won the National Board of Review's Female Breakthrough Performance Award in 2000. The film was a hit at the 2000 Sundance Film Festival, tying for the Grand Jury Prize and bringing Kusama the directing award. Rodriguez later starred in James Cameron's 2009 blockbuster "Avatar." Besides "Skulls," Paul Walker had already been seen in Gary Ross' 1998 fantasy comedy drama "Pleasantville," opposite Tobey Maguire, Reese Witherspoon and William H. Macy. He'd also starred in Brian Robbins' 1999 romantic comedy drama "Varsity Blues" with James Van Der Beek and Jon Voight. Walker had a great future ahead of him with the "Fast" franchise -- but, unfortunately, that future also included his untimely death in a car crash in November 2013. His last "Fast" film, "Furious 7," was completed with difficulty after his death and was released in 2015. Directed by James Wan ("Insidious," "The Conjuring," "The Conjuring 2"), "F7" opened Apr. 3, 2015 to $147.2 million and did $353 million. It's the franchise's top grossing episode. Here's a chronological look at how the other six episodes have performed domestically. "The Fast and the Furious" opened June 22, 2001 to $40.1 million and went on to do $144.5 million, launching the new franchise. It ranks fifth on the franchise chart. "2 Fast 2 Furious" opened June 6, 2003 to $50.5 million and did $127.2 million. It was directed by John Singleton ("Boyz n the Hood") and ranks sixth on the franchise chart. "The Fast and the Furious: Tokyo Drift" opened June 16, 2006 to $24 million and did $62.5 million. Directed by Justin Lin ("Annapolis"), it's seventh on the franchise chart. "Fast and Furious" opened Apr. 3, 2009 to $71 million and did $155.1 million. It also was directed by Justin Lin and is in fourth place on the franchise chart. Lin's latest film, "Star Trek Beyond," opens July 22 from Paramount. "Fast Five" opened Apr. 29, 2011 to $86.2 million and did $209.8 million. Also directed by Justin Lin, it's third on the franchise chart. "Fast & Furious 6" opened May 24, 2013 to $97.4 million and did $238.7 million. It, too, was directed by Justin Lin and ranks second on the franchise chart. Bottom line: Last weekend saw global warming of boxoffice waters thanks to Disney and Pixar's PG rated 3D animated comedy adventure sequel "Finding Dory." "Dory" opened domestically to $136.2 million, the biggest opening ever for an animated feature. That record was previously held by DreamWorks Animation and Paramount's "Shrek the Third," which opened May 18, 2007 to $121.6 million and did $322.7 million domestically. With another $50 million from opening last weekend in about 32 percent of the international marketplace, "Dory" has a global cume of $186.2 million. "'Finding Dory' marks Pixar’s biggest opening ever in China ($17.5 million) and the biggest Disney/Pixar opening weekend ever in Australia ($7.6 million), " Disney said Sunday. "The film will continue its international rollout in France and Spain next weekend before expanding across the globe throughout the summer and fall." Significant territories where "Dory" did not open last weekend include: France, Germany, Italy, Spain, UK, Korea, Japan, Brazil and Mexico. Disney added that "Dory" was "embraced by critics and fans alike, earning a 95 percent rating on Rotten Tomatoes as well as an A CinemaScore, continuing the impressive streak of 17 straight A grades for Pixar films." Demographically, Disney reported, "Dory's" domestic audience was 55 percent female and 65 percent families. The largest age group attending was 12-and-younger with 32 percent and the second largest age group was 26-to-34 with 19 percent. Similar demo data also came Sunday from comScore, which said its PostTrak survey of "Dory" moviegoers "showed massive support among females who made up 62 percent of the audience and also overall moviegoers under 25 who made up 66 percent of fans of the film this weekend." Last weekend also saw a solid opening for Warner Bros., New Line Cinema and Universal's PG-13 rated comedy "Central Intelligence" with $34.5 million. Last weekend's ticket sales, per comScore, were down 4.9 percent from last year -- "a modest drop considering that last year’s same weekend saw 'Jurassic World' posting a huge second weekend of $106.6 million and Pixar/Disney's 'Inside Out' making its impressive debut with $90.44 million."